…social conditions in which people are born, live, and work are the single most important determinant of good health or ill health, of a long and productive life, or a short and miserable one. While on one hand the importance of provision of good quality care through a network of well-managed primary health centres was the model of organization of health services that India (and many countries) had chosen, on the other the commission put together a powerful case for improving health through addressing the “causes of the causes” of ill-health. Subsequently, there has been a lot of attention to design and deliver programmes and interventions that address poverty, food security, social exclusion and such issues, which would improve health status. In addition, our experience shows that further investment and strengthening of primary health care is not at cross-purposes but in fact complements the efforts on addressing social determinants of health. decades. The Commission on social determinants of health and the international voices from the so-called ‘alternate’ movements such as People’s Health Movement have reaffirmed and reinforced the experiences of several grassroot community-based movements in several parts of the country. One such experience has been the Vivekananda Girijana Kalyana Kendra (VGKK) which was founded in 1979. VGKK’s evolution over time from a model based on curative services to one of community development and empowerment illustrates the importance of addressing social determinants not only at a macro-policy level but at the level of providing or organising health care services for communities. VGKK began with a naive assumption – that there are ‘pills and injections’ for many ailments, and providing access to these will improve health of people and bring about ‘well-being’. The cures in the form of pills or injections were much needed and in the lack of accessible primary care services for the Soliga tribal people in the forest areas around BR Hills . The curative services could ‘treat’ medical afflictions. However, a model of health care based on access to a clinic is bound to fail in improving health. The need to reach out of the clinic into the community through trained community-based local health workers and providing a range of health prevention activities soon pushed us to look much beyond the good doctor in his clinic. Doctors and trained tribal health workers were soon screening mothers for high-risk pregnancies at doorsteps and providing immunisation services periodically at the level of hamlets. While a 24X7 hospital ensured good quality clinical care, a team of health workers were out in the tribal settlements engaging with people spreading awareness on immunisation, maternal and child health services and nutrition. Increasingly the activities were organised as if the clinic was at the centre of a hub where several community-based strategies to improve health were planned and implemented through a team of community workers. We found that the clinic was also a wonderful opportunity to not only give medicines but also an opportunity to give preventive health messages and promote healthy practices. While trying to provide good quality health services to the Soliga people, VGKK had realised the strength of the clinic as well as the importance of providing primary health care – curative, preventive, promotive and rehabilitative services – in a participatory manner. Over the years, the journey which began with providing health care to the Soliga tribal people was moving towards bringing the benefits of water sanitation, green vegetables and promoting established traditional medical practices for primary care ailments through home remedies. It is only when we got out from our clinics that we saw these “causes of the causes” – hunger and malnutrition, lack of stable income and minimal access to social welfare programmes of the state. Some of these were directly within the domain of community health – such as addressing malnutrition. There were others which were, on first sight quite far away from health care – the lack of secure land tenure for the forest-dwelling tribes and the persecution by private land-owners, miners or the forest estabmishment. Many tribal people were disenfranchised on their own land. This concern was not merely a concern of the Soliga people, but of several forest-dwelling tribal communities across the country. Indeed, today after the long process of engagement with civil society, scientitists, conservationists and tribal rights activists, the successful passing and implemention of the Forests Rights Act, 2006 in BR Hills (Read brief on this by Survival International) has ensured that there is no more insecurity over land tenure for agriculture as well as traditionally held rights of tribal people over their forests produce. Although apparently a distant concern from health care, VGKK’s involvement in organising the tribal people into Soliga Abhivrudhi Sanghas (Soliga tribal welfare societies) at the taluka and district level with representation from each Soliga hamlet helped the community to ensure that they get the rights to their land in a newly declared tiger reserve – one of the first for the country today. By securing their source of food and income, the contribution of these commkunity empowerment measures to promoting health is substantial. In hindsight, VGKK seems to have progressed from the phases of community health into community development and community empowerment – through organising tribal people to assert themselves and obtain their rights and privileges through a democratic process as provided under the Forest Rights Act. VGKK is today presided by an alumnus of its own tribal residential school and several young Soliga tribal girls who are trained as Auxiliary Nurse-midwives (ANM) at VGKK’s ANM training school are working in several remote and inaccessible areas as ANMs. Over three decades, VGKK began with a medical model of using pills and injections to treat ailments, and is now witness to an empowered Soliga people who are able to realise their rights to health, education, livelihood security and their rights to protect their environment. We realised that there are no pills for poverty nor are there medical treatments for social exclusion. It is the responsibility of the health services to provide access to good quality primary health care. The journey towards realising solutions to address social determinants begins at universal access to primary health care and education. Without good quality primary health care that is comprised of curative services, preventive health care, health promotion and rehabilitation, the discourse on social determinants becomes intangible to policymakers and practitioners. It was not only us at VGKK who saw these connections between apparently disconnected social issues and health care – several civil society movements and now well-known individuals and organisations have pursued to improve health status of communities through organising health care while addressing the social issues that were the primary causes of ill-health. Providing access to a well-managed primary health centre thus beomes an important but not sufficient step in provding health care. A model of primary health care that does not realise and apply the lessons from social determinants will never be able to improve health status of the community. These lessons from VGKK influenced the establishment of another organistaion, Karuna Trust (KT) which was founded in 1986. KT had its origins in using community-based approaches to address health problems in the community. Early experiences with community-based approach to Leprosy, Tuberculosis and later mental health and epilepsy strengthened our conviction in the comprehensive primary health care approach. And KT has since 1996 forged partnerships with the government of Karnataka and several other state governments to manage PHCs in difficult and remote areas under Public-private Parnership (PPP) initiatives. KT’s approach to such partnerships has been to use its roots in primary health care and community empowerment to manage these PHCs. The challenge of buidling a good network of primary health centres across the country is more or less addressed in many states. In Karnataka for example, over 2000 PHCs are in operation, a few hundred more than what the guideline prescribes . With the implementation of the National Rural Health Mission (NRHM), several of these have been provided with nurses and other additional human resources, finanical resources and equipment. Several schemes such as Janani Suraksha Yojana (JSY) have been designed to improve utilisation of these ‘improved’ services, and indeed evaluations and assessments have confirmed such an improved utilisation of services in several places. However, concerns on quality of these services as well as the equitble distribution of these services remain. What is then the role of primary health care in addressing the social determinants? What is the role of taluka or district teams in addressing social determinants? Is the discourse on social determinants only relevant to the policymakers and not as much to the district health officer or for the block programme manager? Our experience shows that there is tremondous scope within talukas and PHCs to directly learn from the mounting evidence-base and focus on the social determinants of health. The NRHM provides one such opportunity through the its focus on decentralised planning through programme implementation plans (PIP). With the availability of increased financial resources and manpower at the PHC level, the limiting factor seems to be the capacity to do a thorough situation analysis of the area in terms of health needs and inequities. At present, district level plans are being prepared annually under NRHM. One of the key features of the pre-NRHM health establishment had been its ‘one size fits all’ approach to planning. With the PIP process of NRHM that allows decentralised planning (in principle right from the village level), there is an opportunity for a motivated and empowered district and taluka teams teams to ‘design’ health interventions to address some of the social determinants. For example, identifying marginalised groups in their areas and organising ‘targeted’ health interventions to reach out to these groups. Many of the celebrated community-based approaches across the country that have demonstrated great success have one thing in common – they all tried to identify ‘gaps’ in existing services and used additional resources innovatively to address them. Today, the NRHM provides the additional finanical resources; however, many gaps remain in terms of the district, taluka and PHC teams being able to use these innovatively and optimally. The result is that the plans tend to become top-down and are not yet ‘tailored’ to deal with the health specific needs of the communities within PHCs and talukas. We need to further strengthen the capacity of these district and taluka teams to use these opportunities to address inequities locally. And a basic foundation for such targeted initiatives or strategies is of course a well-functioning PHC within a well managed district health system. In fact, mounting evidence globally has shown that a network of PHCs providing comprehensive primary health care linked to secondary and tertiary health services is the basic prerequisite for any disease-control programme or targeted intervention to succeed, however well designed they may be. In addition to being a medium for ensuring the right to health of all people, well-functioning primary health centres within a well-managed district health system becomes one of the key instruments in addressing social determinants of health. Primary health care has been shown to be a “health equity producing” social policy . Primary health care (as opposed to primary care) and social determinants of health are essential and complementary approaches for reducing inequities in health. In fact, research has confirmed that a primary health care based approach improves health more among socially disadvantaged populations than others, thus clearly indicating the importance of a well-managed district health system built around a network of primary health centres. ….medical establishment has become a major threat to health. Although shocking some and angering others then, several efforts of researchers, civil society groups, activists and others has helped gather clear evidence and the much-needed policy support to the fact that the social determinants – the “causes of the causes” – are at the root of achieving health for all. And one of the means of addressing these is in fact a well-managed primary health care based health system. The good people at the Karachi Chamber of Commerce are one of the many (ironically!) to provide a pdf of Ivan Illich’s seminal book. An article by Ivan Illich reprinted in BMJ, but originally from the Lancet to mark a series of articles just after his death. A recent article I wrote in The OPEN magazine on one of the few nuclei at the heart of the Soligas’ claim to rights over their land through the recent FRA. Article based on an invited submission to the National Consultation on Social Determinants of Health, New Delhi on February 28th, 2012. Co-written with Dr. H Sudarshan. This entry was posted in Public Health and tagged br hills, primary health care, social determinants of health, vgkk. Bookmark the permalink. 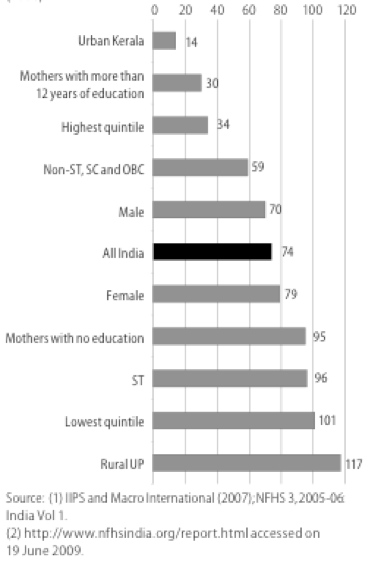 Prashant, a well written piece showing all the critical links between the social determinants of health, the well functioning PHC and the prerequisites of a wise system of education, not literacy. On all this is does the good district system ride. As someone who has tread a very similar path ( replace VGKK with ACCORD and minor details change), my question is this- ” Is it necessary to SEE these links in order to act appropriately?” in which case advocacy should probably be only to facilitate this seeing….Just wondering aloud.